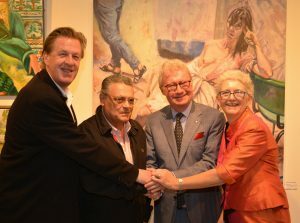 The Queensland Figurative opened last Wednesday night to a packed house of over 150 patrons. 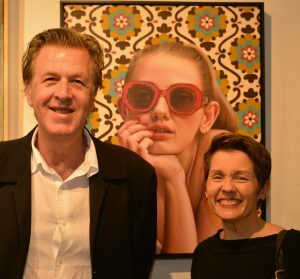 Now in its third year, this unique and prestigious prize celebrates the wealth of artistic talent on offer in the sunshine state. 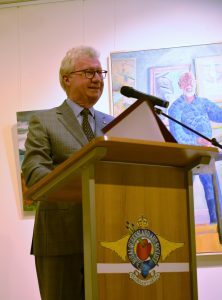 The exhibition was officially opened by His Excellency the Honourable Paul de Jersey AC. As the champagne flowed and the docile tones of Campbell Ross’s classical guitar wafted through the gallery anticipation built. The question on everyone’s lips was who would win the major prize of $10,000? Our excitable crowd speculated wildly, our finalists giddy with champagne and the promise of glory. Our Judge Lewis Miller took to the stage and spoke of the diversity and talent on display. A hush went over the room on the cusp of the announcement the first prize winner. The crowd jostled for position, the room was so packed that people were standing on the stairs to better see the stage. 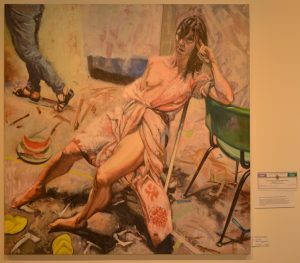 And the winner of the Queensland Figurative 2018 is Anton Piche! 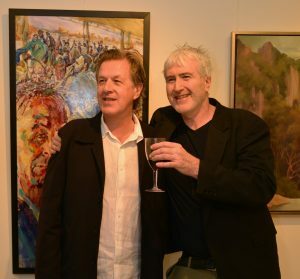 Mr Piche won our first Queensland Figurative in 2014, a renowned artist whose work and list of accolades speaks for itself. Read our judge’s comments below and find links to our winner’s social media and or sites at the end of this blog. Judge’s Comments: After carefully considering the terms and conditions of the application for this prestigious prize, I was eventually drawn to one picture. This picture demonstrates an understanding of the problems involved in composing a figure or figures in a real observed space. I feel sure that the bulk of this picture has been drawn / painted from life. This was an important consideration for me as the judge. This is a picture that has not come about easily, but it shines out with a certain authority. Craig Amos had a winning smile to match his second place winning work. 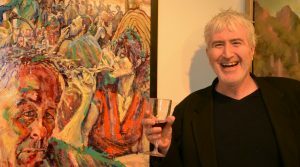 Judge’s Comments: Second Prize goes to “The Long Lunch” by Craig Amos where a scene reminiscent of fin de siecle Parisian café / concert has been transposed onto a Queensland Bar scene starring a cocktail slurping heroine in a red dress and straw hat and a boorish drunk making his point one too many times. “No More Hiding” by Revee Bendixen. 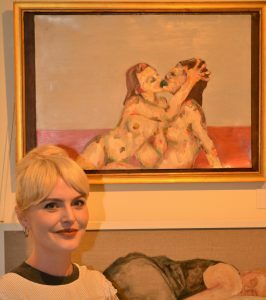 Judge’s Comments: The first highly commended will be awarded to “No More Hiding” By Revee Bendixen which is a bold representation on a modest scale of Sapphic love, a lifelong preoccupation of the great sculptor Auguste Rodin. I liked the simplicity and immediacy of touch. “The Longing” By Anne-Marie Zanetti. Judge’s Comments: The second highly commended went to Anne-Marie Zanetti, an arresting picture, that uses photography unashamedly but succeeds by combining strong patterning with an affectionate portrait. 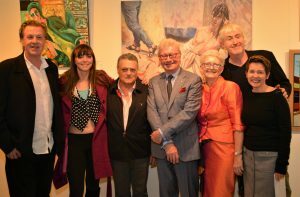 From Left: Judge Lewis Miller, Gina, Anton Piche, His Excellency, RQAS President Marg Thomas, Anne-Marie Zanetti and Craig Amos. This entry was posted in Exhibition Images, Exhibitions, Latest News, RQAS News on 12 September 2018 by Rochelle.